Awe-inspiring pages are closer to realization than ever when you take any of the top HTML5 Travel Website Templates to your advantage. Every smart business owner understands that the travel industry represents a trust-based economy. Marketing and even word of mouth recommendations reign supreme, when it comes to business or pleasure trips. A bad reputation can ruin you, and you must make sure that your site reflects your professionalism. Physical travel agency locations are vestiges of the pre-digital age. The customer’s first impressions will always be made online. If you are tech savvy, it will be easy for you to create an impressive travel page. However, many business owners will need to hire third-party companies in order to develop their websites. In order to avoid that cost, you can always purchase an HTML template. These are basically online makeover kits that enhance every aspect of a standard site. They bring both functional and aesthetic improvements, and they are very easy to use. This convenience and affordability may seem too good to be true, but that’s the whole point of the internet. 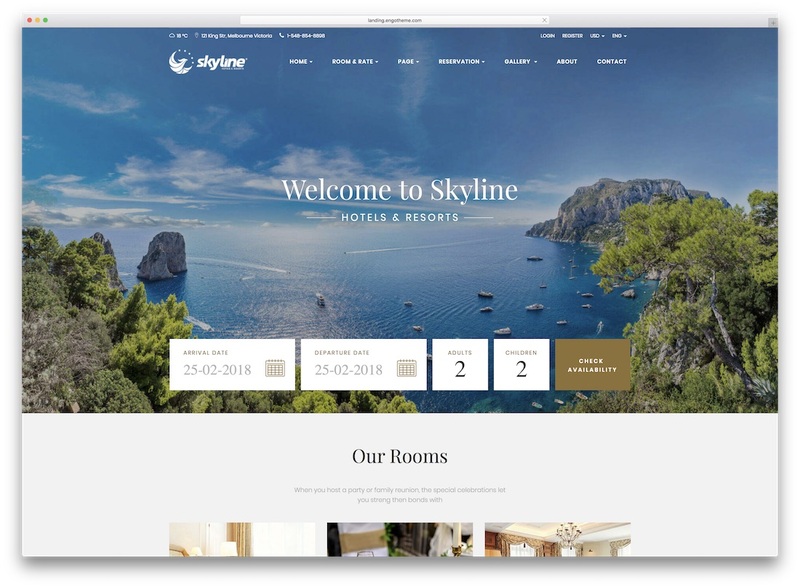 SkyLine is a stunning HTML hotel website template with integrated booking system. While new demos will drop with future updates, you can already take to your advantage four that are ready to use. Each is carefully designed and developed for the fastest loading speeds, high conversion rate and overall top-notch user experience. Indeed, the code is clean and organized and optimized for search engines. Along with the SkyLine bundle, you also get free support in case you might be in need of any assistance. 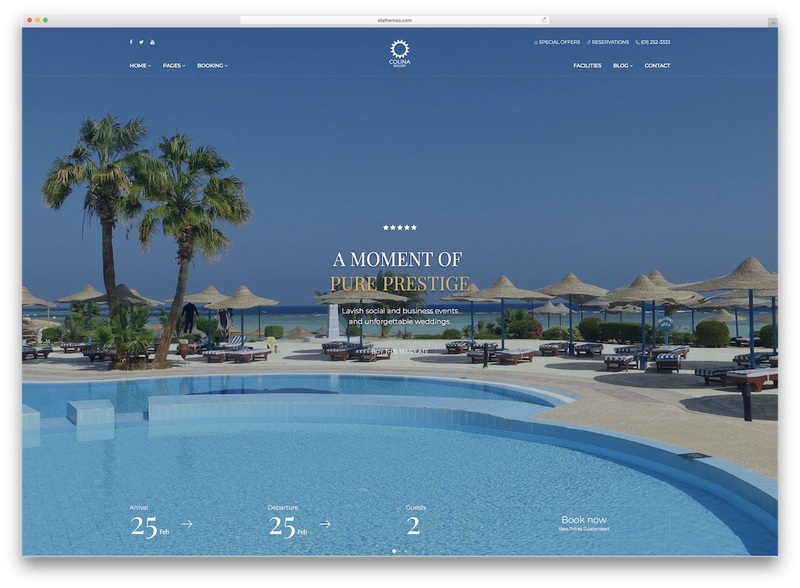 In close to no time, you can have a sophisticated website for your hotel ready to go live. It is easy work, when you have a powerful and fully featured tool at your fingertips. It is more or less assembling the elements together and filling the gaps with your content and information. 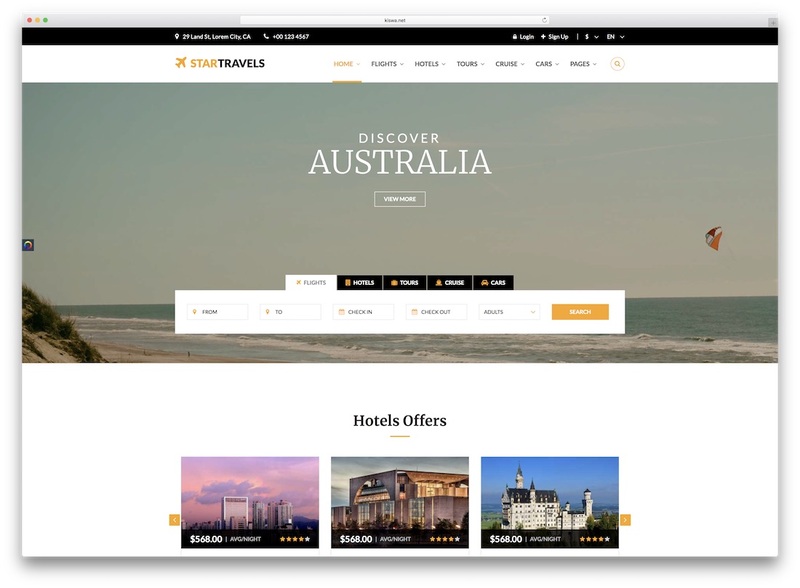 Star Travel is an HTML5 travel website template for a wide range of businesses within the industry. For hotels, tours, flights, car rentals, you name it, Star Travel is ready to take any challenge. To avoid the majority of work and have the most fun constructing your travel page, Star Travel comes with seven unique home pages. Besides, you get all the necessary inner pages, twelve color skins and other fantastic features. Star Travel template is structured in a way that will help you turn random visitors into loyal clients. The layout of Star Travel smoothly adapts to any screen resolution and works flawlessly with any web browser. The code is organized, so those using and editing the template are enjoying every step of the process. Even for beginners, using Star Travel template will feel very natural. Begin luxuriating your new customers with a stunning website and have them hooked forever. 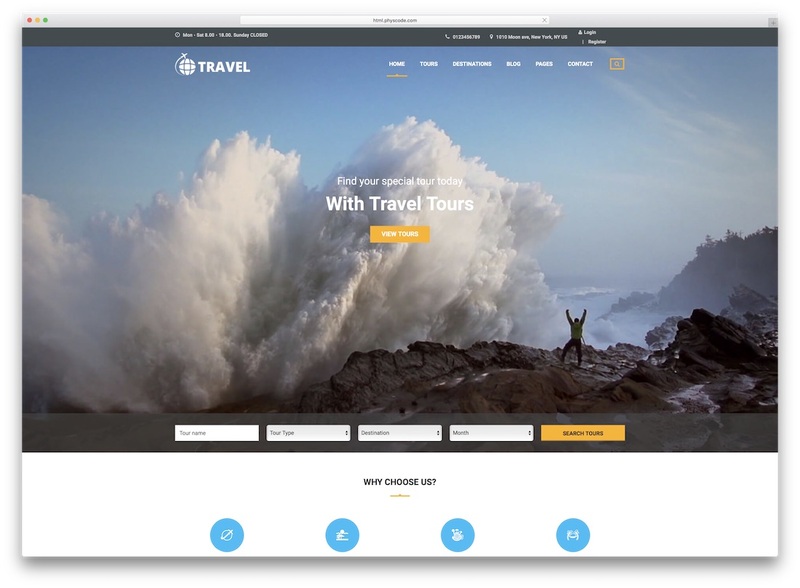 Do it right by choosing any of these top-rate HTML5 travel website templates. 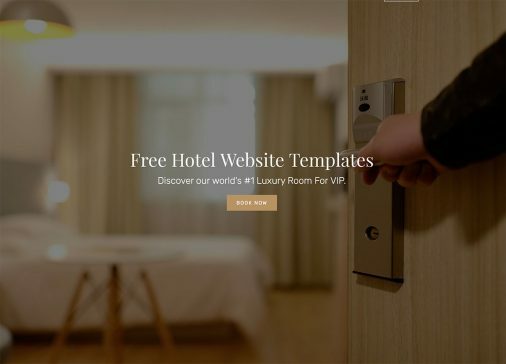 Whether it is for an agency or for a hotel or a restort, whatever your need may be, you will find the template to turn it into a functional website. One great example is Colina. A superb item with all the needed characteristics of a successful hotel website. From now on, customers do not need to call you to make a booking. They can simply use the practical booking function straight from your website and reserve the date. Colina is 100% mobile-friendly, has special retina-ready hotel icons and thirteen different HTML pages. Three homes help you make the right decision when it comes to welcoming visitors to your world in style. When speaking about travel industry, it does not always need to be related to agencies, hotels and similar. You can also be a blogger or one that is about to launch a blog relating to the travel niche. Do it quickly with NewsEdge news website template. With seven predesigned index pages and different post and post detail pages, launching an online travel magazine calls for loads of joy. NewsEdge template follows all the modern website trends to deliver a great experience to both webmasters and end users. While you can use each element out of the box, do not hesitate and improve it with personal touches. NewsEdge is easy to customize and extensible to suit a broad specter of users with different tastes. In just one package alone, you get so many files, you can craft almost any type of website. 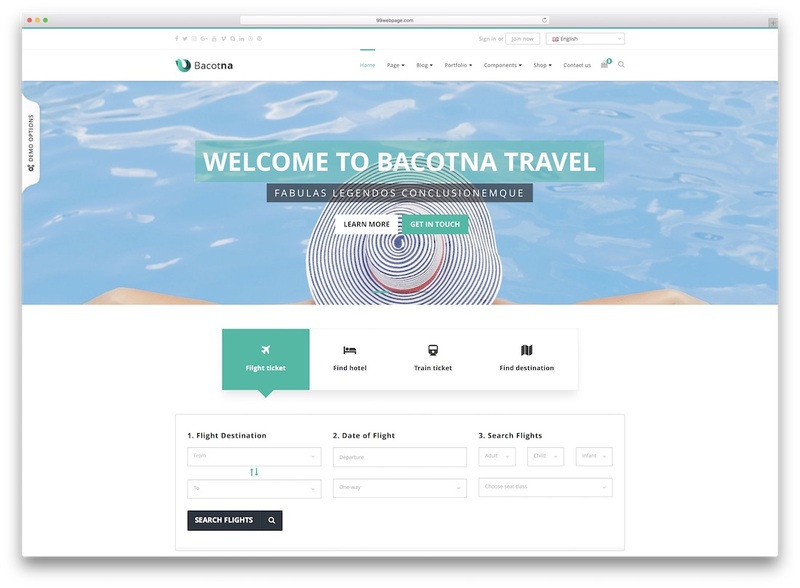 Bacotna is a multi-concept website template with fifty index page variations and over one hundred other HTML files. And for travel and hotel websites, you will find two home predefined and ready for you to start editing them. Above you can see the screen of the travel exclusive demo while there is another one dedicated to hotels. Go ahead, check the other one as well and be impressed by the value you get. Bacotna is an HTML template with Revolution Slider, 49 color skins (that is not a typo! ), multiple header styles and a functional contact form. You are not far away from bringing into being the needed travel website. Whatever you do, do it grandly. With Grand-Hotel HTML5 travel website template, that will not be a problem at all. Whether you are developing a website for yourself or for a client, go all in and put together something out of the ordinary. Instead of spending numerous hours on the design and functions, pick a template and step up your game. 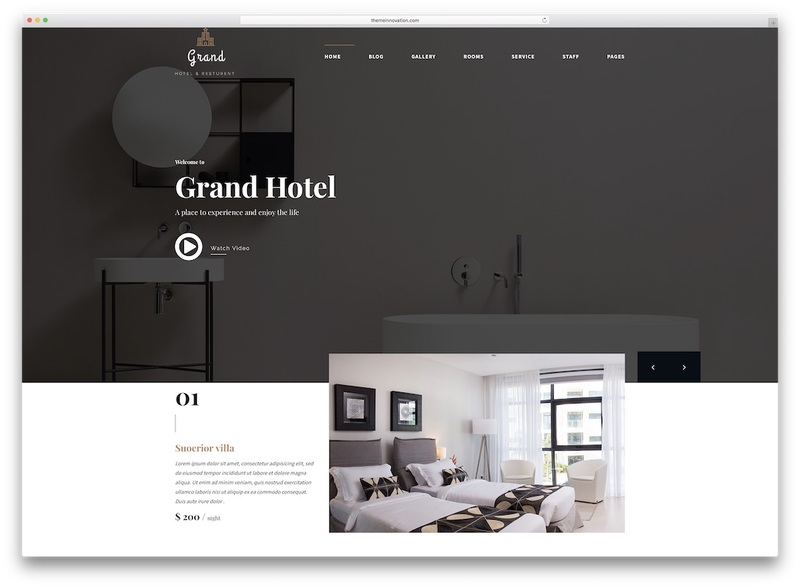 Grand-Hotel approaches site building with four home pages and other segments for staff, services, rooms, blog and contact. What is great about Grand-Hotel template is the fact how customizable it is. Along with all being put in the precise order, there is also a separate folder dedicated to nothing but documentation. This way, you will know exactly what you are doing even if you barely understand the coding process. User-friendly, pliable and super practical for making outstanding websites. Let it be that you like telling stories about your own adventures or you like to be informed about travel related news, have you thought about bringing your passion to the online world? 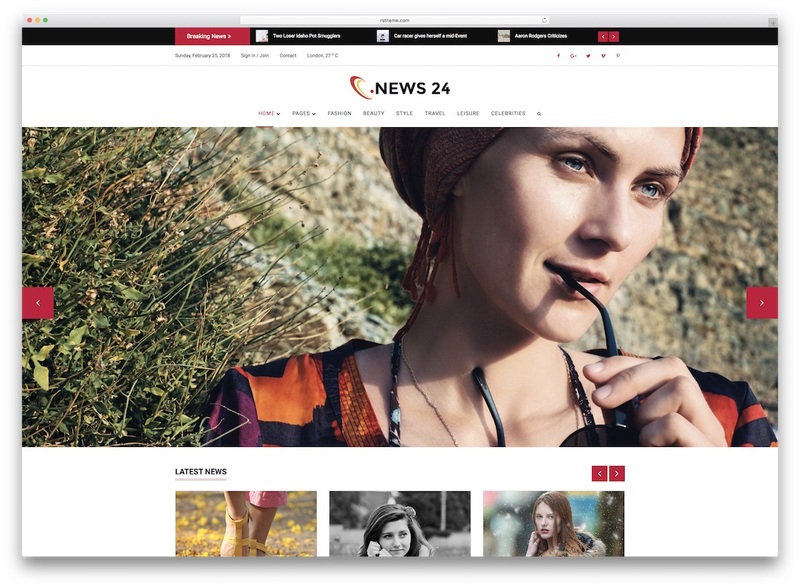 Do it easily with News 24 HTML template. The name tells you pretty much everything you need to know about the product. It is an online magazine website template which you can use for travel industry with ease. It is fully adaptable and allows performing almost any kind of modifications. Four niche demos and a winning collection of generic ones await you upon unboxing News 24 template. More features, you also get, are Google Maps integration, cross-browser compatibility, different headers and various page layouts. Do you run a 5 STAR HOTEL? No matter if it is a boutique hotel in a tiny village or a chain of hotels, you should consider a website. It will help you a whole bunch with additional promotion even if you are already successfully using only 3rd party platforms. Get on a personal level with the guests and form an unbreakable bond with them. 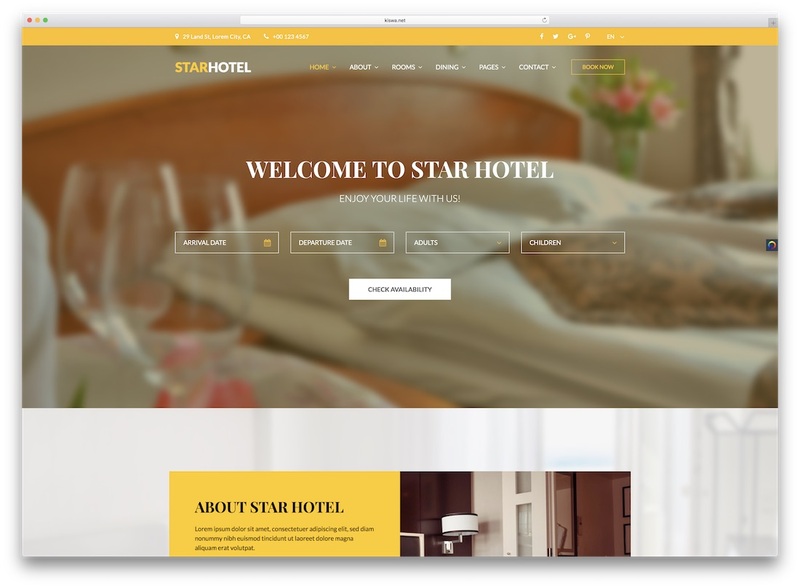 If you are building a fresh page or redesigning the current one, investigate STAR HOTEL template. It is elegant and modern with all the necessities and a few extra features to escalate your website. Slider, video and image homes along with landing page layout and an additional restaurant web design all come with STAR HOTEL template. Unlock its full potential and let a website help you grow your business. Online news and magazine website for the travel topic is just around the corner with I-News template. 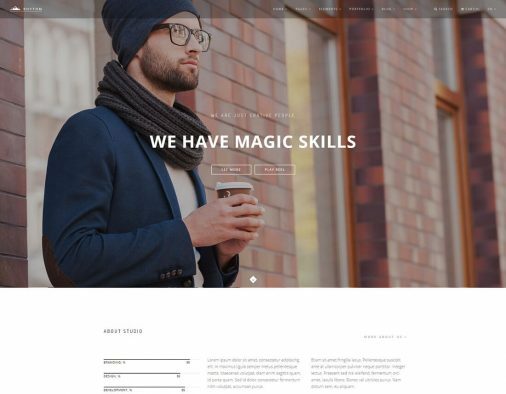 It is a Bootstrap 3 template with all the features for the mentioned types of websites. Start your online journey with light, dark or RTL layout and begin editing it to meet your requirements. On top of that, I-News also has eight front pages for you to kick it off with the right look instantly. 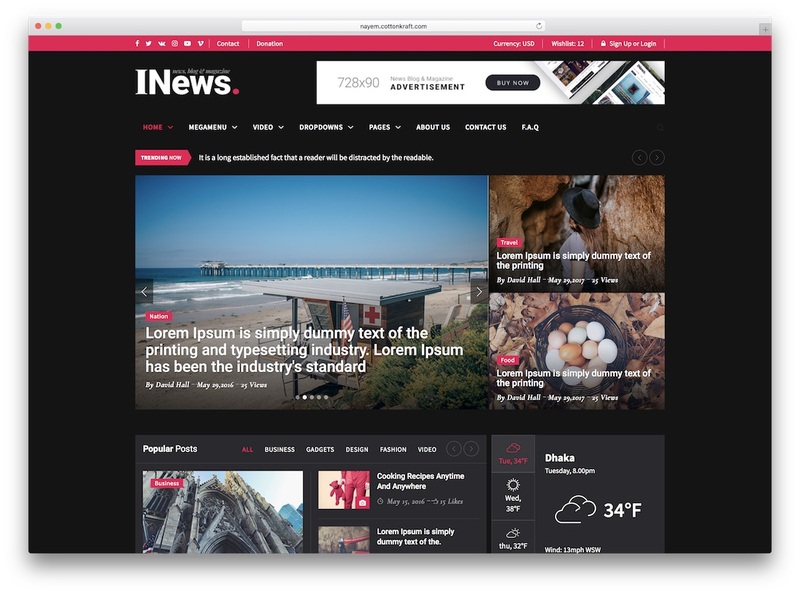 I-News is fluid, smoothly adapting to all screen devices, smartphones, tablets and desktops. It is compatible with all the popular and even those a little less modern browsers and loads super fast. 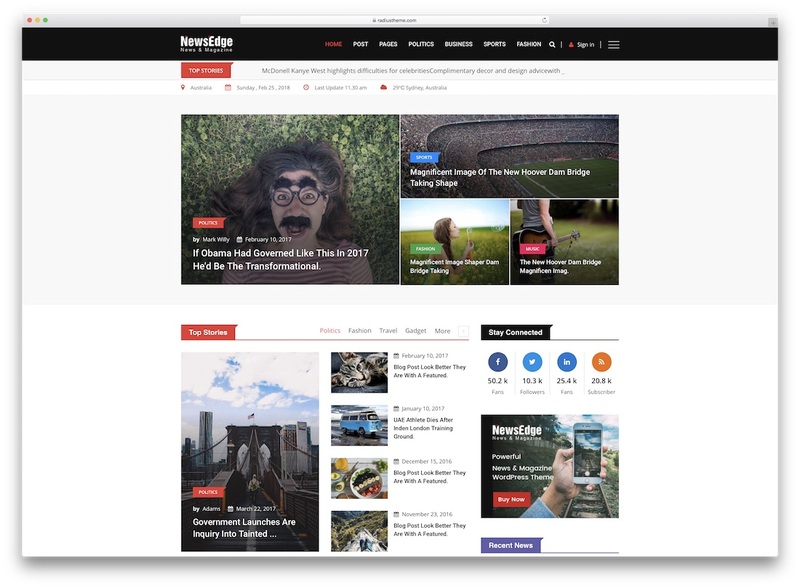 With the integrated widgets, appealing typography and great performance, your readers will enjoy reading your travel content. Right off the bat, you get three styles in the Iqoniq Travel package. You can choose light, dark or RTL layout and go from there. Each of the layouts is fully customizable but the features are so solid you might need to invest barely any force in changing the design. Other than filling it with your content and information, you are good to go. Iqoniq Travel is an HTML5 travel website template for agencies, hotels, reservations and even blogs. But combining a travel agency website with a blog would be a great option to pick. There is no need to be finding the tool that does all that for you. You have it here, ready and fully stuffed with great features. 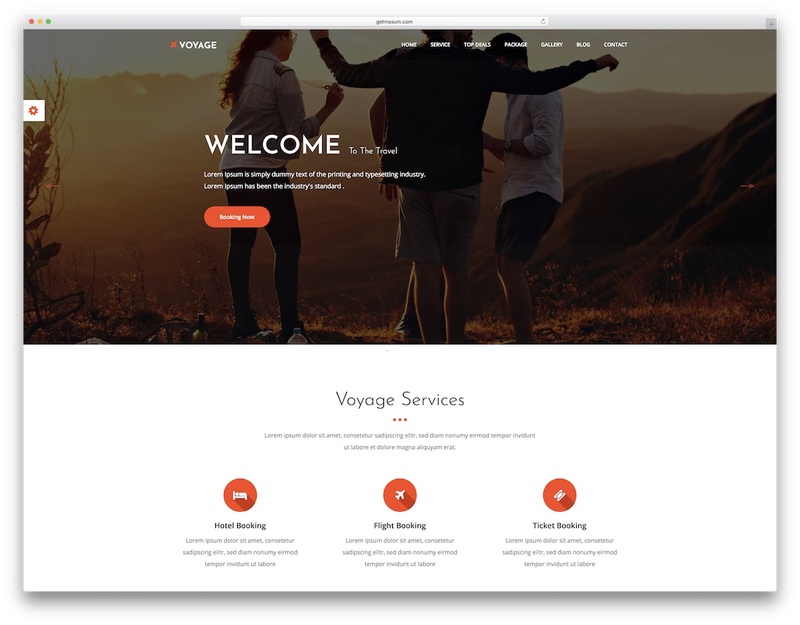 Lead your customers into their dream destination by showing them a breathtaking website made by Voyage. This HTML5 travel website template has been making thousands of clients happy and has been able to produce countless projects already. Explore the gorgeous web design by heading over to the live preview page and see what’s possible with the impressive Voyage. For a small investment, you get a professional layout that will elevate your travel or tourism business beyond your expectations. It is comfortable and hassle-free to use, with no HTML shenanigans required. In brief, you will surely love trying this template as it is very addicting to play around with. Voyage delivers a super clean and relaxing look that caters to any user without hassle. You can even choose between twelve preset color skins for a quick branding fix. The world is literally your playground with Ramcab, a reliable and promising tour and booking Bootstrap theme for your tremendous business. 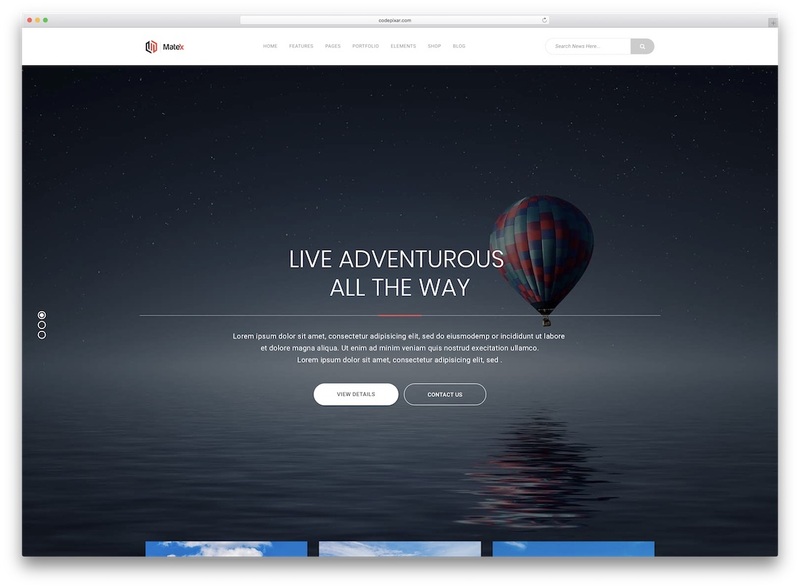 This travel website template is intended to level up your portfolio online and offer servicing details that are trustworthy. In addition, it is suitable for blogging or agency sites, thanks to its versatile layouts. Experience design freedom effectively with hundreds of features available. Say goodbye to coding and hello to convenience. It also includes Google Fonts, HTML and JQuery files and more. Such a complete package isn’t it? With fast, compact and powerful features, you will be able to create your website like a pro. To increase the hype, with Ramcab, you get three outstanding home pages and a total of fifteen HTML files to take to your advantage and shine online. Bursting with the top of the line design tools, Xfar surely knows how to impress. The fact that it’s a travel website template is a given, but it can also be a great companion for personal tour or blogging purposes. Xfar has an impressive style that will knock everyone’s socks off. Moreover, if you would like to differentiate yourself from the masses, Xfar’s uniqueness will do the trick for you. Choose from many intuitive templates that define perfect detail and sophisticated layout. Powered by Bootstrap, Xfar has a grid-based system which ensures your website works great on all devices, mobile and up to the desktop. Check out Xfar’s other features that guarantee your site’s optimization and performance. 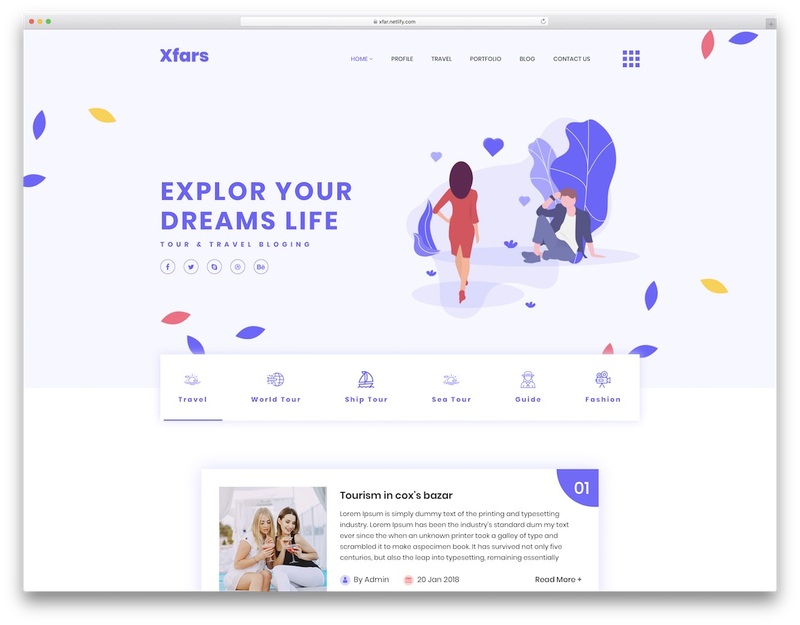 Try it now and you will never regret it, Xfar is an amazing template that will get your online project going swiftly. With a multi-purpose website template based on Google’s Material Design, you can do great things. One of such items is Matex. An enormous website template with more than fifty different homes and over 150 inner pages. Of course, there is no need for you to create a travel website you are after starting from zero. Matex has an exclusive layout at your disposal that will be of great advantage. Very straightforward, promoting your services, rooms, restaurant, travel destinations, you name it, all can happen. Matex is an all-in-one web template with over 200 shortcodes and 300 UI blocks. Building and customizing with Matex will be comfortable with very little time required to complete the project. The next travel experience can be an adventurous one, starting with your website. If it is creative, then it must be something to think about, right? It is definitely the case when it comes to Arcon template. The product is based on Bootstrap Framework and ready to adapt to a wide specter of niches. 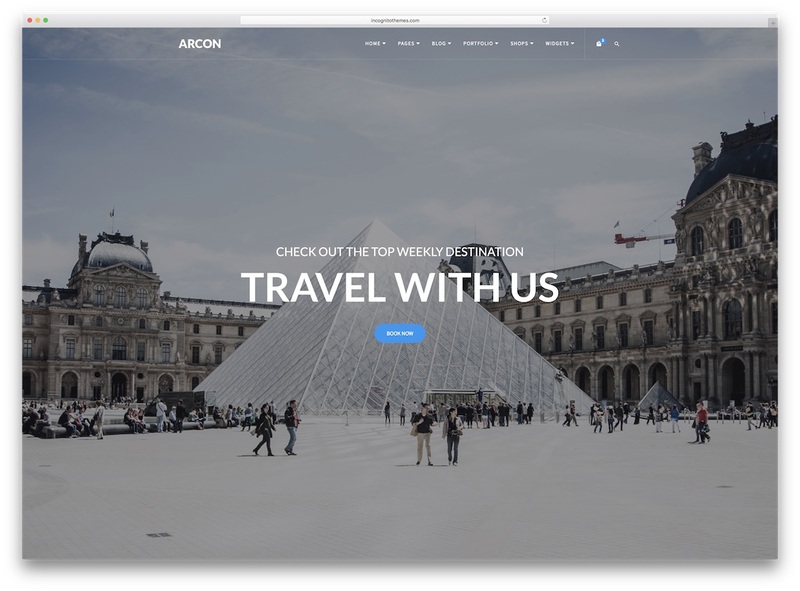 For a travel agency, Arcon has a special front page layout available and ready to be put to work. It makes site development a breeze and your agency ready for new business opportunities. It all begins with a full-screen banner with text, title and a call-to-action button. The navigation bar is transparent and transforms into a sticky one on scroll. Parallax and hover effects, animated statistics, contact form and “reveal” footer are goodies that will decorate your beautiful website. PLUME is a giant amongst website templates. Tens upon tens of front page demos and hundreds upon hundreds of HTML pages all in one bundle. Yep, I told you PLUME is a serious deal when it comes to page building tools. You will not find anything missing in the package even if you are after a complex travel website. Included in the collection of demos, you will find one layout for hotels and the other for travel agencies. 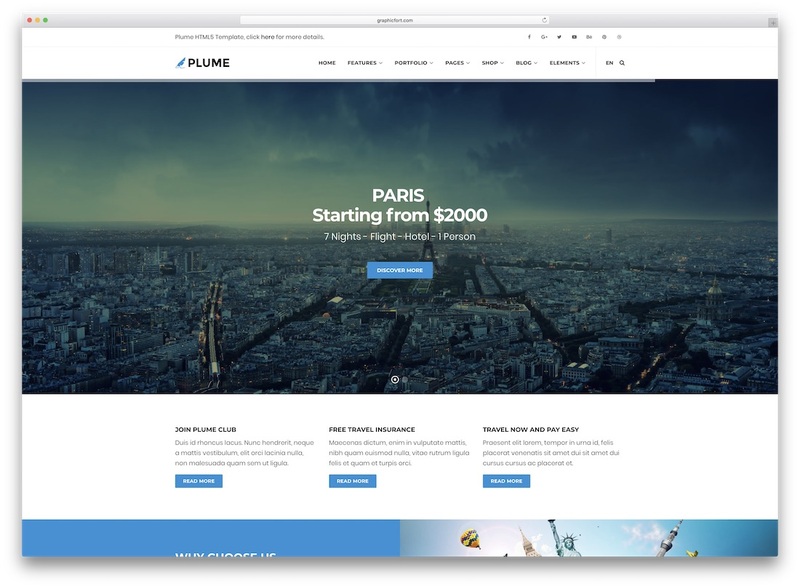 And that is why we could call PLUME an HTML5 travel website template, too. The template is well documented, organized and does not require any programming skills when it comes to customization. Some of the features of PLUME are social media feeds, smooth scroll, MailChimp, WOW animations and Isotope. Create a real eye pleaser and grow your customer base above and beyond. 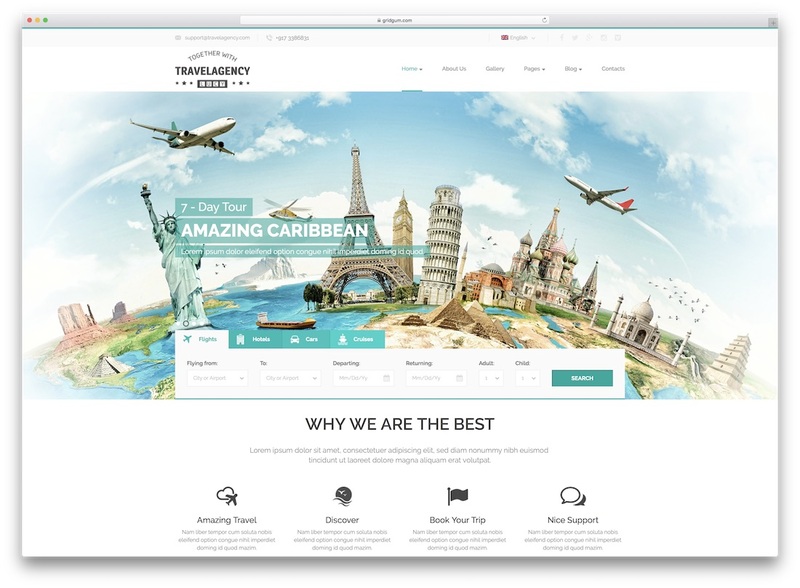 Travel Agency HTML5 website template has you equipped with all the essential elements to make top-notch web presence. The whole adventure flowers with three index page variations. You can pick between stunning text slider, amazing image slideshow and even a video version. All three home pages are accompanied by many other useful and mega valuable inner pages. You can use Travel Agency template for flights, hotels, cars and cruises or even one website that covers it all. But truly, use Travel Agency however you fancy. On scroll animations, responsiveness, modern looks and newsletter subscription box, all this and plenty more you get with Travel Agency. Be in charge of your online appearance, scale your business and fulfill many new clients’ travel dreams. 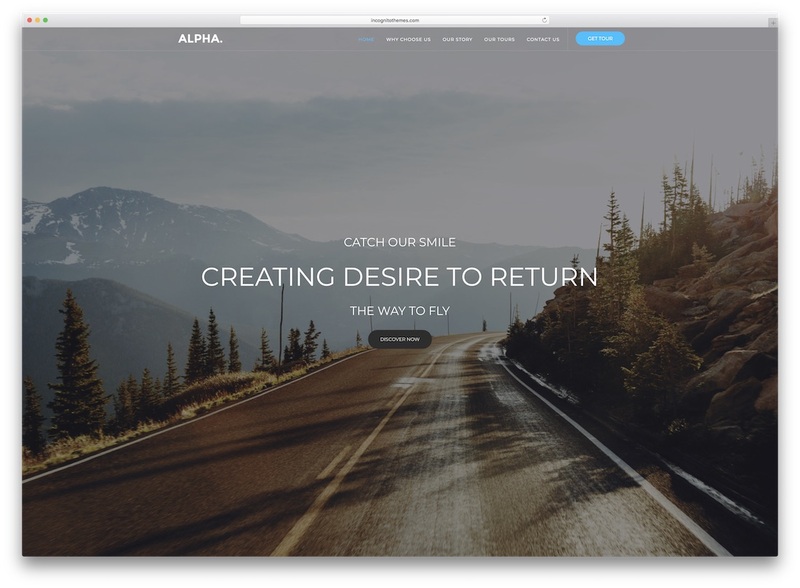 Bootstrap Framework powered multi-purpose website template, Alpha Dot, is here to take care of your travel pages. Specifically, travel agency websites. For these, Alpha Dot comes with a classy one-page layout. Every site visitor first gets hit with a full-screen banner which you can use to showcase an outstanding travel destination image. Add a bit of text and call-to-action button to it and that might be enough to persuade them. More proof why to choose your agency over competition they get when reading more about your company. Advertise your special features, tell your agency story and share jaw-dropping pictures from trips. At the bottom of the funnel, guests will rush getting in touch with you using the neat contact form. Just as beautiful and awe-inspiring as sunset at the beach is, so is Sunset Hotel HTML5 travel website template. It is an item best for hotels, resorts, rooms for rent and other types of accommodation websites. With the available, you are about to assemble a website that will pick up your business to the new successes. 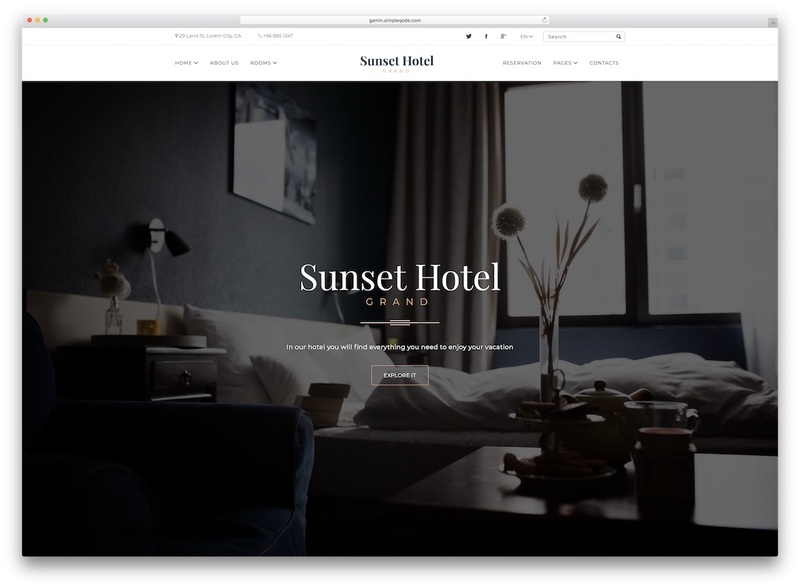 Sunset Hotel supports four homes, default, image parallax, slider version and video background. After selecting the right option for your business, add other sections like rooms page, room detail, reservation and gallery. You do not have to develop any of those pages yourself, Sunset Hotel has them all part of the kit. There is also a coming soon template in case you would like to announce the launch early. Or maybe you are redesigning the current page and would want to let users know that something fresh is coming. With any of the Travel HTML website template gems, you can develop and design high standards following online presence for your businesses and projects. Best suited for travel agencies but Travel HTML template works for other types of pages undoubtedly. For the quickest solution, you can always go with the apt content and do not even bother making adjustments. However, all HTML5 travel website templates are entirely customizable. With their greatly structured codes and in-depth documentation, improving them won’t break a single drop of sweat. The first step to successfully launching a travel website is to take action. From then on, all feels way easier than it seems. Go ahead and get the movement going. Exploit these remarkable templates and have desired sites finished quickly. 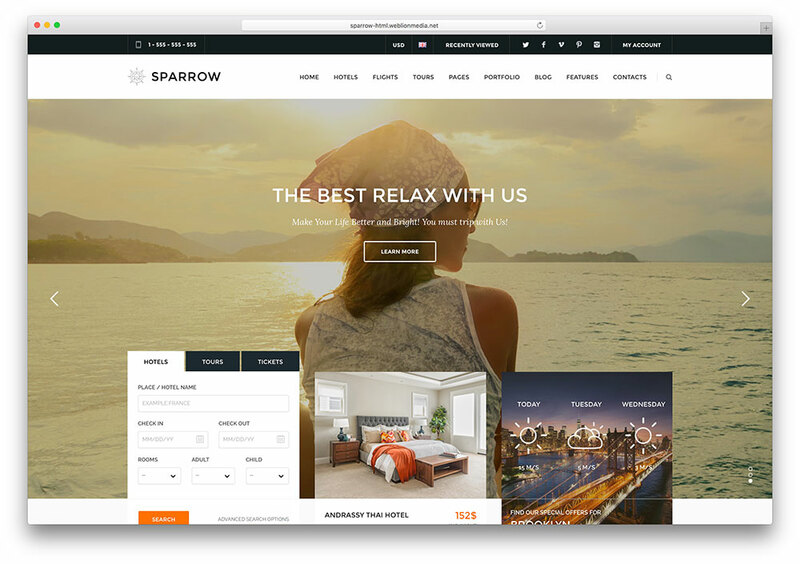 Sparrow is an extraordinary HTML travel website template for those who wish to construct professional booking and travel websites. It has many niche-specific features, and your page will feature information regarding city landmarks, tours, hotels and ticket prices. Every piece of relevant data can be showcased with ease. In terms of aesthetic design, Sparrow is second to none. It maintains a gorgeous, simplistic look that never fails to impress site visitors. There are 37 different HTML files, and a Working Ajax contact page. This product also offers an integrated Twitter API, and 4 distinct home page variations. Users will benefit from 6 complete hotel listing and booking pages, 6 complete flight listing and booking pages, and 2 blog listing pages. The site will feature a special search box for tours, hotels and flights. Sparrow has a Register/Login pop-up section, along with pages for the About and Services page. The site contact section will also feature Google Maps integration, helping travelers to safely reach their destination. This template is compatible with most browsers on the market, and it is entirely responsive. For new-time users, a well-written documentation source was added. It explains every feature in detail, turning you into an overnight expert. 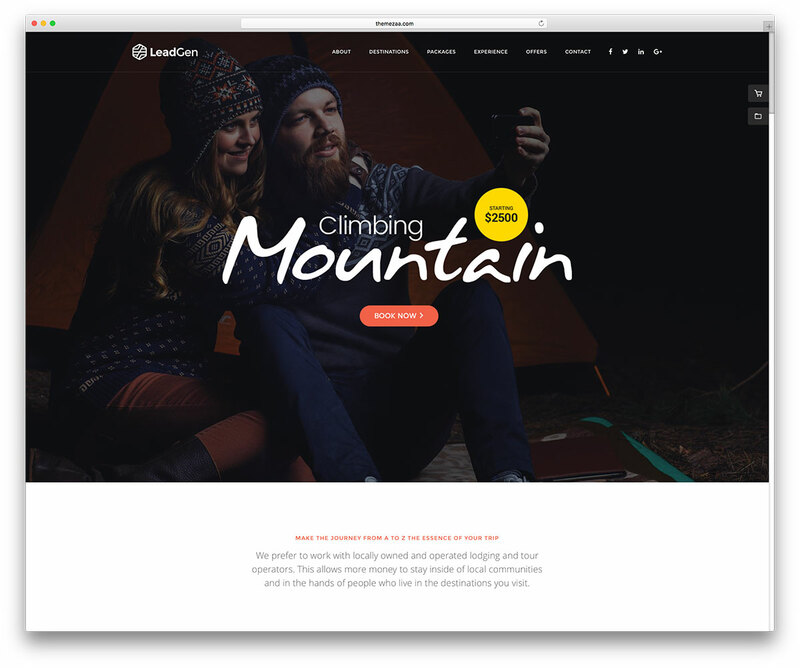 LeadGen is an intuitive and responsive HTML marketing multipurpose website template. It is a resourceful framework for creating impressive modern websites. LeadGen is a platform honed for mass-appeal projects, lightweight and fast-loading. It performs well across all traffic scales and audience sizes. Businesses love LeadGen because it provides them with a wealth of ready-made tools. Powerful plugins allow for meaningful customization in a matter of minutes. You don’t need to know a lick of coding to make the most out of LeadGen. Simply deploy one of 32 perfected demo websites with a single click and get going. Customization is fast and easy with LeadGen at your side. A powerful built-in HTML5 builder lets you customize your websites at will. Travel industry webmasters love working with LeadGen because it’s so flexible. Optimized for conversions, LeadGen lets you increase your business and revenue overnight. LeadGen is the perfect solution for hotels, motels and hostels the world over. A powerful commercial framework allows you to market your services through your website. Book the room and make the sale today, with LeadGen. Awesome portfolios let you showcase your finest yours and vistas in style. Give LeadGen a go today, and see your travel business soar! 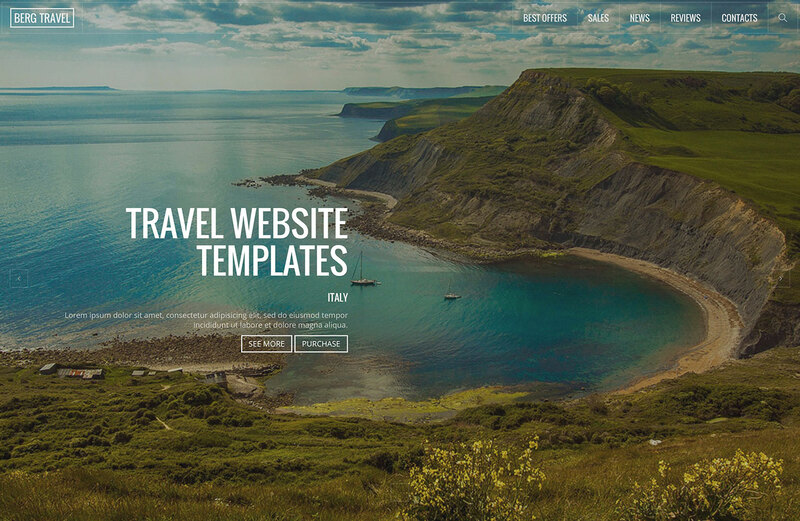 Awesome template for travel websites! I am intersted in travel engine affilated website. Please advise options and prise. HTML templates listed above are just skins without functionality. They are used to speed up website development. In your case any template will work well as long as you are a developer or have one who could help with it. do you want to any information related to travel agency website then contact with me. i have experience to make a website. I am looking for a flight booking website dev. Please call me if you have experiencing in building the system. Do we need DB in the backend (SQL, MySQL) for these templates. 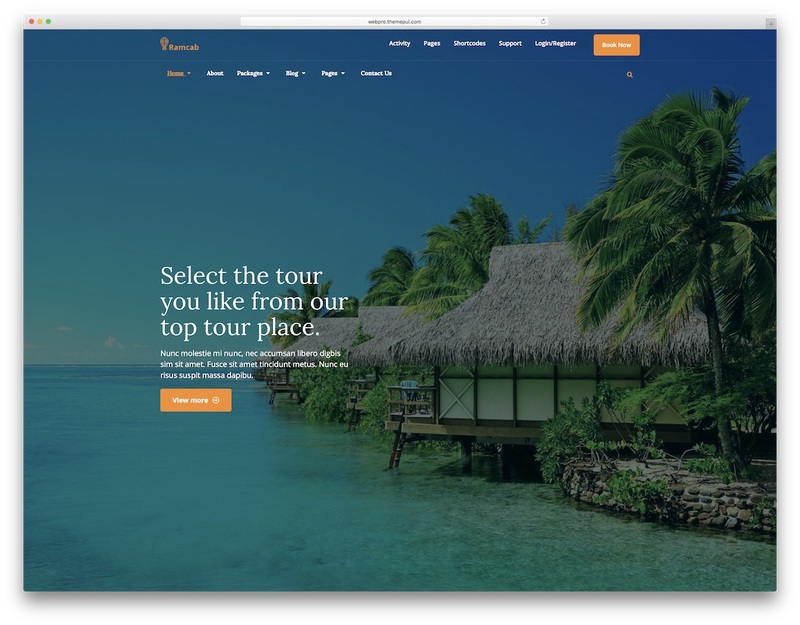 Awesome template for tour & travel websites! I would like to buy a template here. is this template helping to rank in google are no ? Content is what makes your website rank. Theme is just there to make your website and content to look good. Hello sir, I think this is link is also one of your page. I have a website made on blogger.com and I want to integrate your car booking and hotel booking or only car booking page in to my website, then how should I install it, whether I just have to embed the code or do you have any other method and if yes do you have a video explaining the same as you have already mention that you will not help with installation after purchase of product. These are HTML templates which means that they are not going to work with Blogger as a hosting. You need to either convert it into a Blogger templates (you must be a developer or know one) or get a separate hosting for that. You can choose between options to show for your customers, but keep in mind that HTML templates means that there aren’t any admin dashboard but just a plain code that you are dealing with. If you are not a coder yourself you will be better off moving your site to a WordPress. Here are the best WordPress themes for your niche. One more thing you have given too much of option in your website but I dont have that much of option for my customer so can I hide those option in order to get orders for product that I have. Nice info for travel websites. Thank you. I’m a beginner & would like to know which template to use to start a web page w/cruise info and would it be able to add a link in the future for payment options? And what do these templates run monthly? Could you tell me the name of the theme of the first image on this page? The one which says “BERG TRAVEL” in the upper left corner? It is called Berg and you can find more info about it here.